All month in October, get $30 off a class (valued at $75 or more) at Bristlecone when you buy a new or used Glock! Also with any new or used Glock purchased in October, be entered to win a new Glock 19 (giveaway recipient announced November 2nd) and one of our weekly giveaway Glock and Bristlecone branded SWAG baskets! Any custom gunsmith work for your Glock in October – get 25% off of the labor charge (parts not included). Most popular gunsmith modifications for Glock owners are stippling and cerakote…. but you can use the discount for anything that our Gunsmiths do. And the Grand finale for the month….. our annual GLOCK DAYS sale Saturday 10/20 – Saturday 10/27. Join us for the lowest prices of the year on all Glock models, plus free sight installation with your purchase, manufacturer rep on 10/20, vendors and more. Join as a new Member or renew and be entered to win the Glock 19! If you buy a Glock AND a Membership this month, that’s 2 entries! “Studies” show that most people who own a Glock, eventually own more than one! Join or renew in October and you’ll be invited to a special Shoot with the Owners event scheduled for November. Bryan’s a great shooter, Jacquelyn wishes she was able to practice more (she’s writing this) but still has a great time. Join them for some range time and compare notes or just get to know them better, if you join or renew this month. NEW MEMBER BENEFIT starting this month!!!! All Members will now get 15% off of Gunsmith labor at Bristlecone. Have you been thinking about having work done but haven’t yet because of cost? Now is your opportunity if you’re a Member. Take advantage of all the customization that our in house Gunsmiths can offer with this new Member discount benefit. Women’s Only Package – a $385 value for $300 and all classes are taught in a Women’s Only format! Lunchtime Locked and Loaded – this lunchtime session is changing format in October. In order to close the range bay and accommodate more advanced down range drills, the cost will be $15 per person/session. You can register in advance or just walk in. You must be Bristlecone Holster Qualified to participate prior to the class. Questions? Please call and speak with Nick Dillman, Instructor. 303.985.0989. Youth Club – also back for the fall by popular demand! Open house is October 9th at 6PM. Come out and meet the instructor, learn about the format and see if this activity is right for your family! The fall session of Youth Club includes 4 Wednesdays through December 12th. Thinking about your Holiday plans yet? 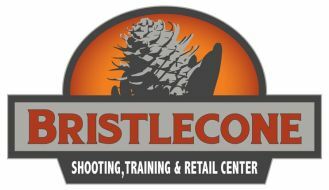 Why not host an unforgettable holiday experience for your family, friends or colleagues at Bristlecone Shooting, Training & Retail Center this year. Bristlecone offers a number of options for live fire or virtual simulator packages for your next group event. Create an experience that people will remember and check off a bucket list item or two while you’re at it! Our staff will guide your group through the experience in a safe, fun and memorable way. More information here.